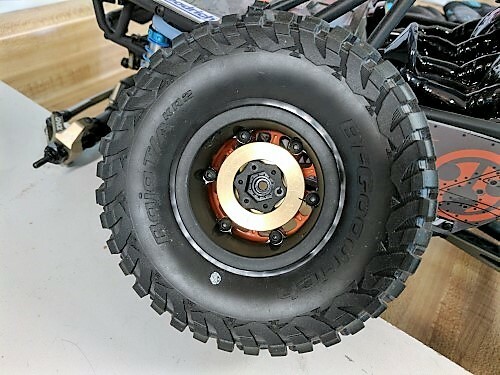 Running weights in the front wheels of your trail rig or rocker racer can have significant benefits such as a lower center of gravity and improved stability. 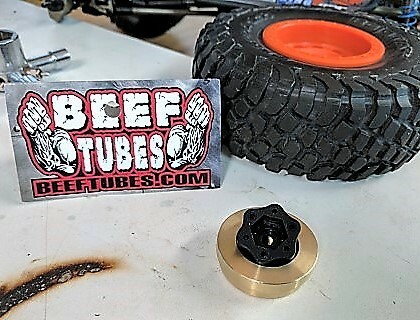 After searching through options that would work with my Altra 5K Bomber Build, I came across these Beef Patties made by the same company that made the Beef Tubes I used inside my axles on the Bomber Build. The Beef Patties add 4.5 ounces to the front. 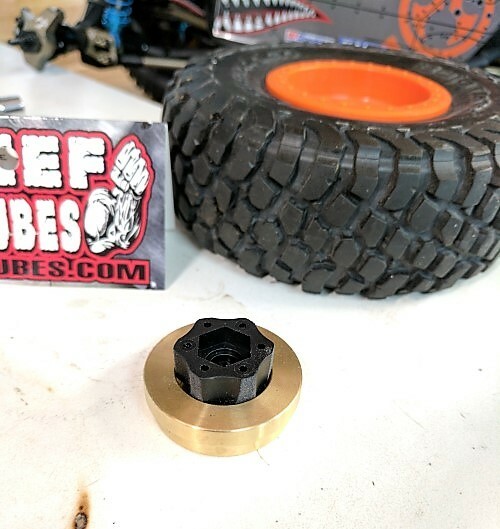 These along with the Beef Tubes inside my axles increased axle weight by 6 ounces. 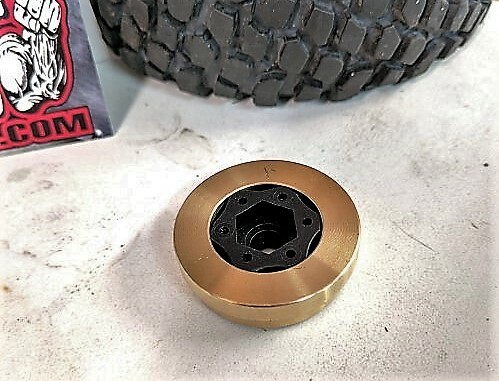 These are not made specifically for the Axial Method Beadlock wheels, but they can be installed with minimal modification. As you can see, the hubs don’t quite slide into the Beef Patties. The hubs are just about 1mm too large in diameter, so a little sanding is necessary. 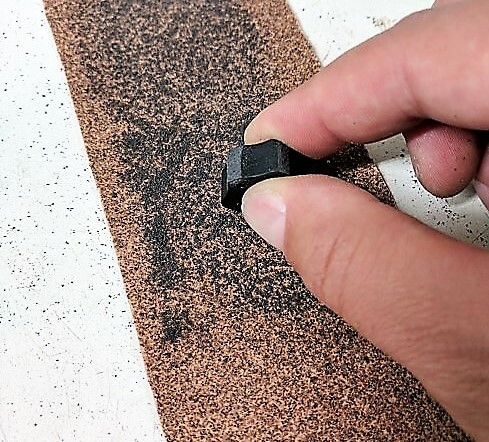 I used some 60 grit. It made quick work of the job. Just a few passes on each nub is enough. I stopped and checked clearance, almost there. I just needed another pass on the sandpaper. Boom, slid in like a glove. 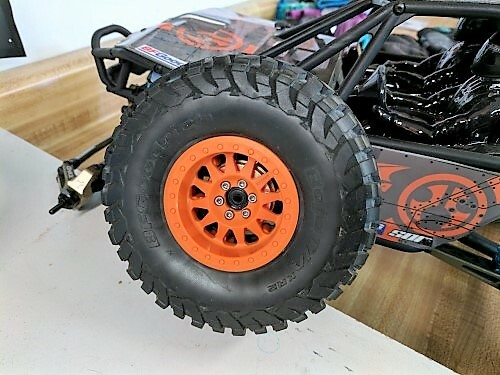 The Beef Patties fit perfectly in behind the wheels. Beef Tubes includes longer beefier hardware to mount them up. You can just see them poking out behind the spokes. Best part is they are a close match to the color of all the aluminum bling on my Altra 5K Bomber. You know bling is important, because it adds 3hp per bling. I’ve already done a test run and am very happy with the improved crawling and handling. 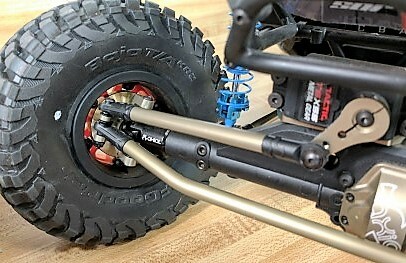 Definitely a great, quick, and easy hop up to improve the stability of your RR10 or other rig.